The inflatable SUP board of Fanatic for girls. A model specially designed for women, with high performance and a nice and elegant design. Girls rules! 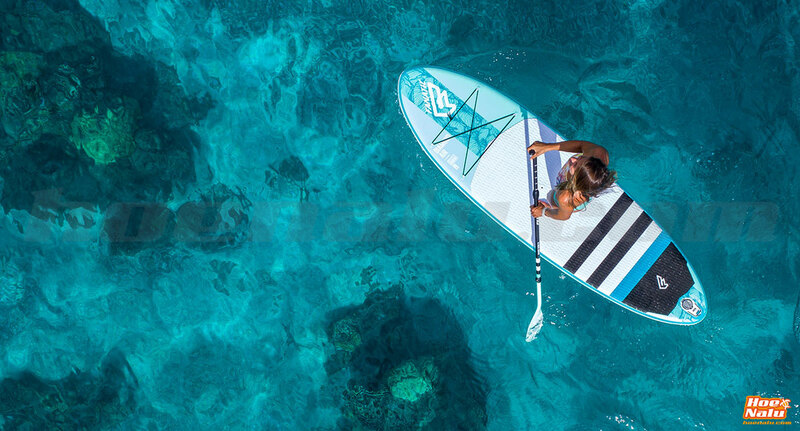 The Fanatic SUP Diamond Air 9'8 ' 2018 is the perfect board for SUP girls. This model has been made with special consideration in women, since to aesthetic design, light weight, comfort in the transport and the ease of use are united. Its allround shape makes it a board for everything, suitable for use in any situation, and with good performance in both flat water and small to medium size waves. In addition to being pretty, this stand up Paddle inflatable board has the own quality of Fanatic SUP products. You can be sure that you choose a board with an excellent construction, which gives it strength, durability, and good structural rigidity. The Fanatic Diamond Air 9'8'' paddlesurf board comes in a complete pack including the Fanatic Diamond 3-piece paddle, leash dakine, and ergonomic backpack with wheels so you can carry it comfortably anywhere. It allows you to hang it on your back with your quilted straps, or pull it like a trolley suitcase. Travel with your Diamond Air and practice your favorite sport wherever you want! High performance, comfort, and a feminine design in green water and turquoise. The Fanatic Diamond Air 9'8'' is perfect for those who want it all! Shape allround that fits all uses with any level. Made with the best materials and processes that ensure a lightness / rigidity ratio, optimal. Printed design over the entire surface of the deck, bottom and edges for a better visual effect. Glued side keels and removable central without tools. Network of transport integrated in the deck. Metal rings available on the deck and bottom for the leash and for tying the board to buoys, etc. New, more comfortable carrying handle. Diamond Grooving Deckpad for optimum grip and maximum comfort. New backpack with wheels and new zippers for easy access to the interior. New optimized Power Pump inflator, for faster and more comfortable inflation. Fins: thruster or tri-fin combination, including 1 x Fly Air 15.5 cm detachable and 2 x Fly Air 12 cm glued. What does the Fanatic SUP Diamond Air 9'8'' 2018 pack include? 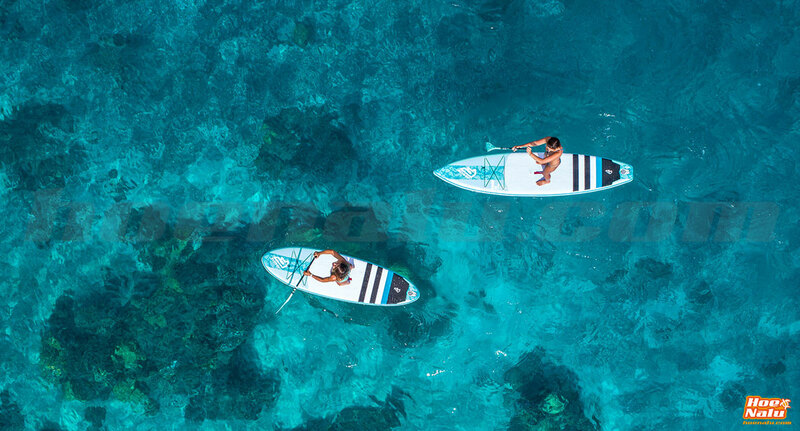 An inflatable board of Stand Up Paddle Fanatic SUP Diamond Air 9'8'' 2018. A Fanatic Diamond 35 adjustable and 3-piece paddle. Here you have a video of the inflatable Fanatic Diamond 2018, in which you can see its technical details, appreciate the details of its design, and see them in action. Enjoy! 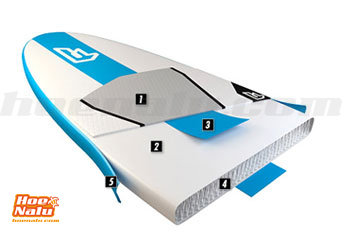 The technology in Stringer inflatable boards by Fanatic makes use of the best drop-stitch material in the market. This recently developed process provides the perfect compromise between durability, weight and price.